A good greenhouse is a space in which the avid gardener can cultivate plants and relax and admire them as they grow. A great greenhouse gives you that, and so much more. A White Cottage glasshouse provides all the functionality you could wish for, but with an elegance and durability that will enormously enhance the pleasure your garden brings. Our designs borrow from the golden age of the great British garden to create structures which are redolent of history and tradition. Quite simply, White Cottage greenhouses are the ideal choice for the discerning homeowner who understands the value of a beautiful garden and appreciates that style is every bit as important as functionality. Style: Our greenhouses beautifully capture the character of the great Victorian gardens, and are sympathetically designed to reflect the heritage and design values of older properties or to create an elegant and traditional English garden atmosphere in more modern homes. 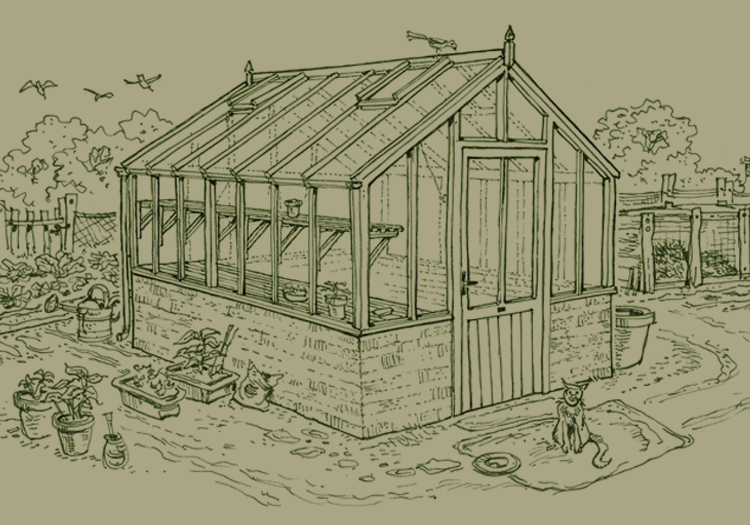 Functionality: Designed specifically to fit the shape and scale of your own garden, and with a wealth of options available, a White Cottage greenhouse will give you all the space you need for your gardening needs and help you cultivate plants that will be the envy of your neighbours and friends. Experience: Founded in 1980 and now having been passed from father to son, White Cottage have built greenhouses to grace the gardens of many magnificent properties, small urban gardens, and every shape and size in between. Examples can be found across the UK, Europe and beyond. Craftsmanship: Traditional craftsmanship and techniques have been handed down through the generations and with backgrounds in engineering and the building trade White Cottage can offer sound and well founded solutions to the most difficult of projects. Durability: Our greenhouses are crafted from a combination of sustainably sourced Accoya® wood and aluminium, to create a structure with the strength and weather-resistance to last a lifetime.